Get relief from blepharitis, inflammation of the eyelids, with help from a Las Vegas area eye care specialist. Blepharitis is inflammation of the eyelids. 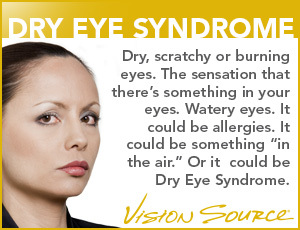 Swollen, puffy, or sensitive eyelids are common symptoms. It can be caused by bacteria, clogged oil glands or certain skin conditions near the base of the eyelashes. It can be uncomfortable, unsightly, and sometimes stubborn to treat. Find an eye care doctor specially trained in blepharitis. Find an office near you in the Las Vegas area. Itchy, red eyes and inflamed, swollen eyelids is a common and uncomfortable eye condition called blepharitis. It has many causes, including bacterial infections, common skin conditions like dandruff or rosacea, clogged glands, localized allergic reactions, and even an build up of parasites. Eye doctors can determine the underlying cause with a thorough exam, looking at certain clues about the nature of the condition, including the location of the inflammation, buildup of flaky material, the health of the eyelids and eyelashes, and patient history. In many cases gentle but regular hygiene and the use of warm compresses help relieve symptoms and treat the underlying cause. In some cases, your eye doctor may prescribe a specific treatment or medication.